The northernmost North American city with a population of over 1 million, Edmonton is the capital city of Alberta, the educational, cultural and governmental center of the North Saskatchewan region of Canada, with it’s Wanuskewein culture and home to the Buffalo Stampede. Popular for its Oilers, Edmonton combines green sensibility with petrochemical business savvy. 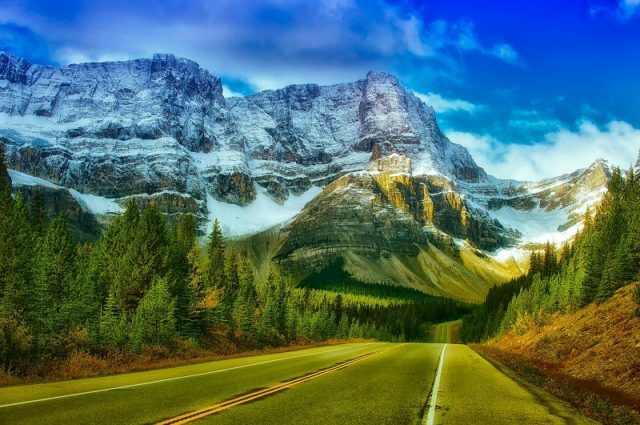 Given the vast expanse of Western Canada’s outdoors and the multitude of activities you can engage in; there are plenty of local and national companies offering Edmonton RV rentals, motorhome hire, campervan hire. CanaDream and Real RV Value have a wide range of models for rent; and booking with them on online is easy for you to get the best deal for a motorhome rental in Edmonton, Alberta. Edmonton is efficiently divided into well-laid out grids; such that navigating the city on foot, car or recreational vehicle is easy even for first-time visitors. The core of Edmonton’s downtown is lined with utilitarian buildings and edifices that grew around the oil industry; while a few blocks away are leafy avenues and old homes that were built during the heyday of the fur trade. You can park your Edmonton motorhome rental here and explore the downtown on foot or bicycle. The South Central district is home to entertainment, dining and shopping; while further south are more leafy parks and neighbourhoods styled in the 1950s. The Northern and Western Ends are light industrial, commercial and residential. On the cultural front, Edmonton celebrates a seemingly endless string of festivals all year-round; so there is always something to look forward to any time you visit. The most number of festivals, however, are held in August. The widely attended Edmonton International Fringe Theatre Festival makes hotel accommodations difficult around the second week of August until late; so having your own RV rental in Edmonton would save you a lot of hassle. Heritage Days celebrate the 60 cultural backgrounds that make up Edmonton, while Cariwest is particularly Caribbean. Labatt Blues Festival and Edmonton Folk Music Festival are also held within the month. 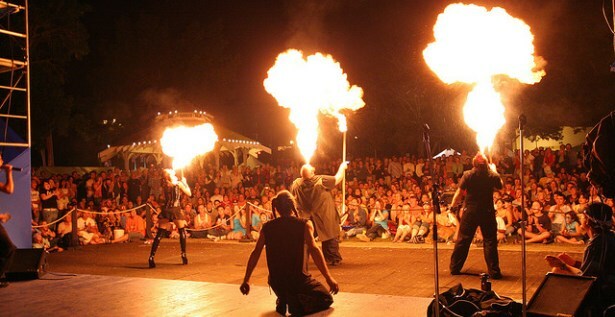 There are about 40 festivals held in Edmonton in all, most of which run from April to November. The North Saskatchewan River Valley, just 2 miles southeast of downtown, spans 7,400 hectares and contains more than 20 major parks and 160 kilometers of multi-use trails, making it one of the largest urban parklands in North America and perennial favourite of campers using Edmonton RV rentals because of the diversity of activities the valley offers. When you want to experience a variety of landscapes and plenty of wildlife sightings, drive your motorhome rental in Edmonton and head to a natural aspen parkland which lies less than an hour east. Elk Island National Park is a compelling destination not just for elk sightings, but also for moose, beaver, bison and muskrat. It is also home to Ukrainian pioneers. The greater outdoors start at Banff National Park, 4 hours southwest of Edmonton, a UNESCO World Heritage Site and a skier’s favorite. Calgary, the largest of Alberta’s cities, is one and a half hour to the east.